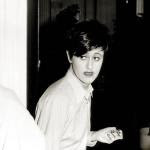 Tracey Thorn quietly released her second solo album Out Of The Woods on March 05th of this year, only 25 years after she quietly released her first, A Distant Shore. In the interim she has taken a remarkable journey with partner Ben Watt as Everything But The Girl. Much has been made of the developments in EBTG’s sound; they started as folkish singer/songwriters with a dark edge, shifted to adult contemporary, took a detour through dance to get to trip hop, and then remade that in their own cinematic style. The strongest through-line has been their lyrics, which are always literate, penetrating and personal. A Distant Shore contains quiet, sparse but developed songs that utilize Thorn's tenor range, accompanied by acoustic or electric guitar with barely any embellishment. On the other side of EBTG, Out Of The Woods shows considerably more production; in comparison, the Shore pieces sound like demo tracks. Some of the mellower Woods songs – ‘Hands up to the ceiling’, ‘Nowhere near’, ‘By Piccadily Station I Sat Down And Wept’ – could have appeared on Shore in stripped down versions, though Thorn is now favoring her alto-to-soprano range, which I find more appealing. Another striking difference between the two albums is the unabashedly electronic identity of the latter. Ewan Pearson, who produced the bulk of the album, takes Thorn in a direction that is related to but distinct from Ben Watts and late EBTG, and it’s a great makeover for her. 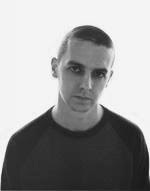 Over the past ten years, Pearson has transitioned from a graduate student in Philosophy and Cultural Studies to a producer/remixer in great demand, notable among electronic artists for his organic sensibilities. Out Of The Woods’ first single ‘It’s all true’ references early eighties Shannon and Madonna; that’s interesting to me because back then Tracey’s work was essentially the antithesis of ‘Let the music play’ or ‘Lucky star’. Other than ‘It’s all true’, the centerpiece of Out Of The Woods is the cover of Arthur Russell’s ‘Get around to it’. 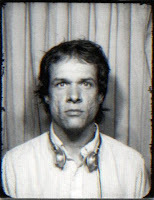 Arthur Russell is a case study in how uninhibited late seventies/early eighties dance music was when it came to accepting influence. Trained in classical cello and Indian music, Russell found his way into dance production and helped house music onto its first legs, making explicit connections between his own experimental work and his work for dance artists. When he died in 1992, he left behind a significant amount of unreleased work, much of which has been made available in the last few years, as his influence has been increasingly acknowledged. ‘Get around to it’ was recorded in the late eighties, but first released on Calling Out Of Context in 2004. Russell’s style is a good fit for Thorn: nonchalant but skillful, not vocally strenuous, mysterious but suggestive lyrically, and poised among a range of genres. She and Pearson clearly had a great time reworking the track. They pull the bass to the forefront, commit to some elements that Russell left in more of a jam session structure, and solicit a great honking sax solo from Gabe Andruzzi of Rapture. This cover of ‘Get around to it’ strikes me as an amazing confluence of artists – Thorn, Russell, Pearson - who have created subtle, rigorous, influential bodies of work over lengthy careers. In this song you can hear both their sophistication and their joy. It is accidental pop music that has its priorities very well in order – not to be famous, but to be good.